Our Presentation Evening took place and for the first time we held the evening in two parts: KS3 Awards Evening followed by KS4 Awards Evening. Both events were well attended, and it was lovely to see everyone coming together to celebrate the successes of our pupils. The theme of the evening was ‘being the best you can be’ and our guest speaker was certainly a superb role model for the pupils. Hannah Whitely, a former pupil of the school has just been crowned World Champion Kite Surfer 2017. 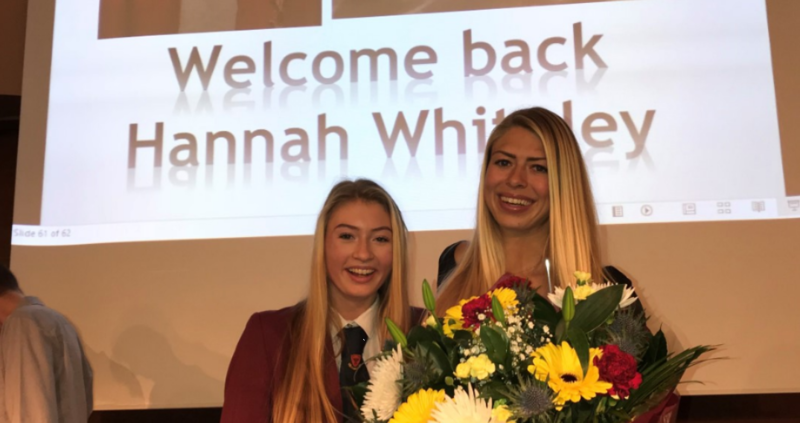 Hannah spoke to the pupils about not giving up, working hard, and breaking down ambition into small parts until step by step you eventually achieve your dreams. 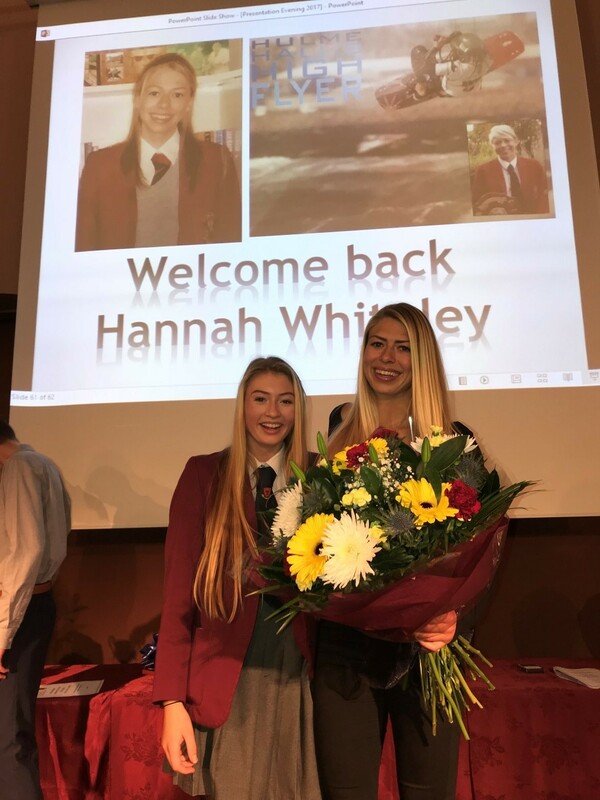 Hannah was certainly inspirational and highlighted that with hard work and determination you can realise your dreams. I was very proud of our pupils who as always conducted themselves in an exemplary manner. It was also lovely to see returning pupils and I am so pleased to hear they are enjoying their Sixth Form studies and are following a wide range of A levels and other 16+ training courses. A big thank you to everyone including the choir and musical performers for making it such a special evening. We are hoping to hold our Awards Evening at an external venue next year as we are conscious that at the KS3 event space was very limited. We also want to celebrate as a whole school. Any suggestions from parents would be most welcome.